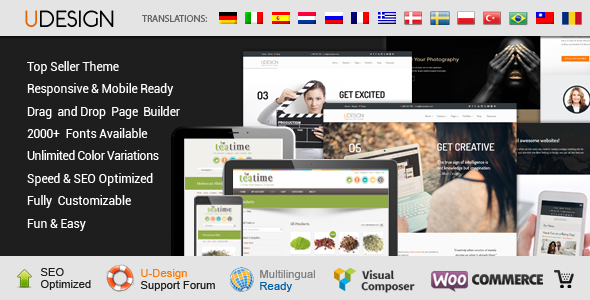 WordPress uDesign theme, excellent choice for novice or experts. Boasts over 2000+ fonts to choose, highly responsive and optimized for SEO. uDesign theme scores a 99/100 on Google's speed test. Check out the demo and find out why 47k have chosen this awesome theme! Would you like more information regarding our WordPress uDesign Theme?